Dressed to impress, looking spicy, fabulous, glamorous, and… rip. No. No. NO! It is a fashion emergency. Fashion emergencies can cause stress, sadness, anger, embarrassment, and even the dreaded down dressing (where you take your look from platinum to participation-ribbon quality out of necessity). Presentation is key. Especially in the day and age where most people are posting photos on social media every second, and you do not want to be an #EPICFAIL photo on someone’s page. Ensure your outfit’s survival with a clothing first-aid kit, and have your own back at all times. A fallen hem can turn a good article of clothing bad. Basic thread is easy enough to get and often white and black threads will be sufficient to repair a majority of your clothing. Having a range of colors is better though, and by getting the thread to match your clothing as you purchase it, you will always have what you need. Total and all-over care will mean you are presented immaculately to the world at all times. And here’s an extra set of secrets just for the boys to get your immaculate in gear: Grooming Secrets. Buttons – Save The Spares! Button, button, button-less buttonhole, button. Oops. What’s worse is when one of those naked buttonholes makes what’s under the clothing visible. Big oops. Much like thread having two colors that could work with most articles of clothing, clear, white, and black buttons will work for multiple pieces, and most quality garments come with a few spare buttons that you definitely have to keep in your fashion first-aid kit. 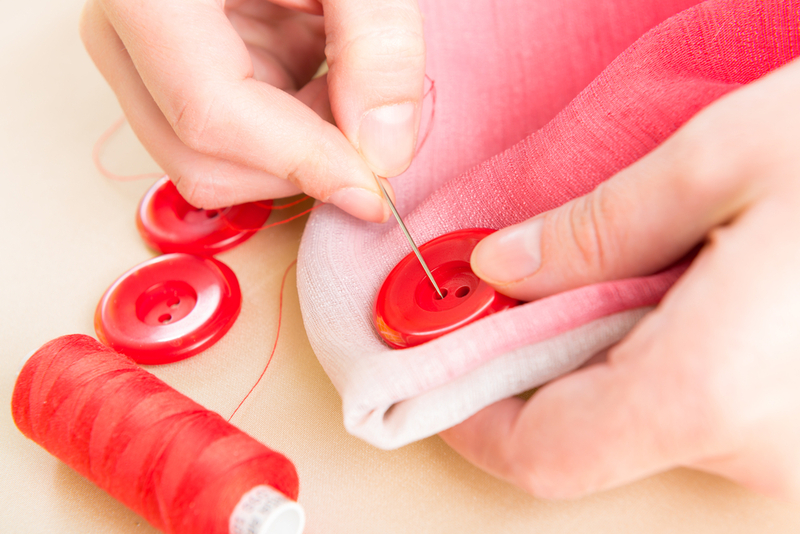 A button’s home is on your clothes, but while it is waiting to be on your clothes, it needs a secure place to stay. A button jar is vintage and will keep your buttons in an easy to remember location. When you are wearing something with a specific button, slip that button into your pouch when you head out, just in case you have a misadventure. A pair of tiny scissors would be easy to carry around in your kit. If you organize your items and manage to do it concisely, you can conveniently fit it into your purse. 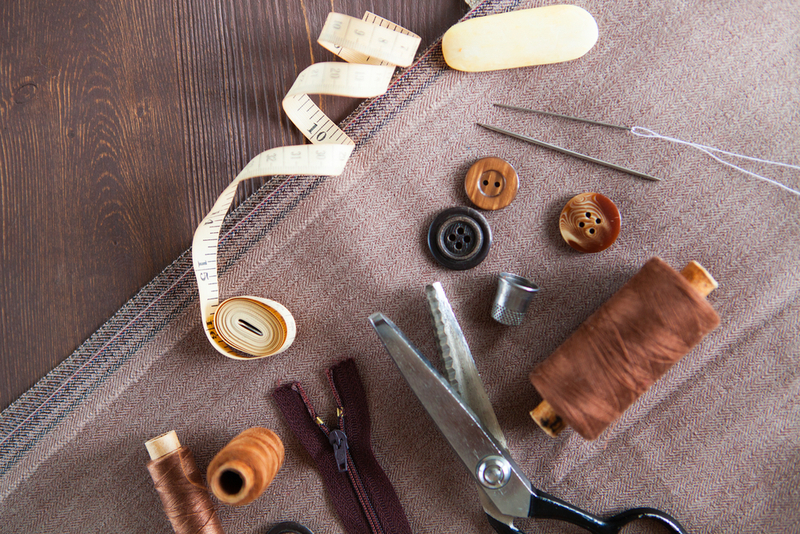 A small pair of stitching scissors will be helpful when cutting loose threads. 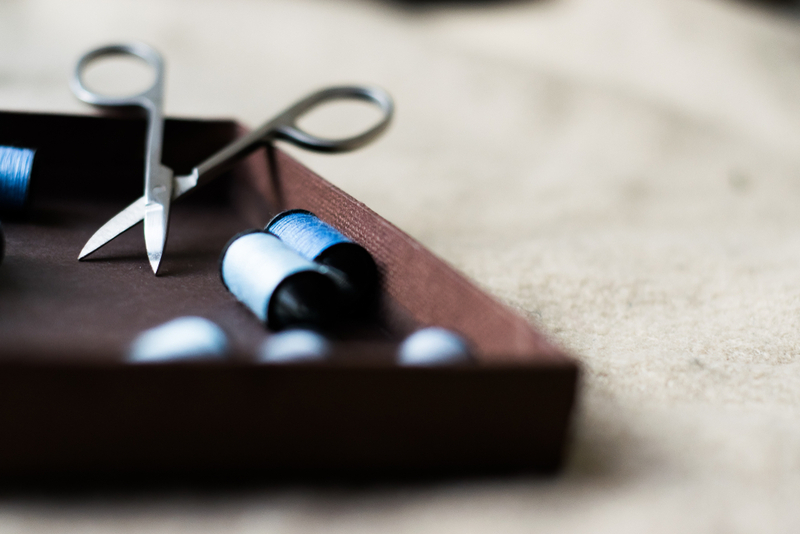 These scissors weigh less than some buttons and are no bigger than a box of matches. By developing your core practical skills now, you might have an edge in the age of the robot if it ever comes! Another way to be ahead in the age of the robot is to know how to work your electronic helper. And you can begin to train for that today by setting up your very own automated home. You’ve got the kit: the issue will be repaired. But sometimes you’re in a rush and don’t have time to get your stitch on. 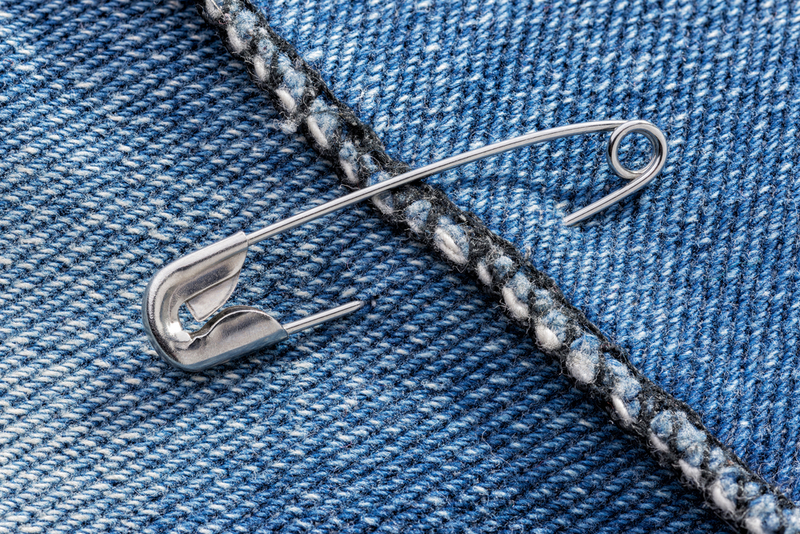 A safety pin will be your savior. It will also hold a rip in a bag, which will make movement far smoother. The Pouch: once you have all of your essentials together, you will need somewhere to keep them, and the pouch is that somewhere. A light, small bag that can slip into your handbag, your Summer-Essentials tote bag, or car’s dashboard is another essential. You can purchase these at the same online stores from where you purchase your clutch. And you will earn Cash Back when you make your purchase via dubli.com. Spill? Throw your shirt into the washing machine! Oh, brother, you are at lunch. Grab the wipes and hand wash within seconds! Fabric wipes can be a little bulkier, but if you ever spill anything on your clothes it can be wiped off, making your fabric clean and not just wet, in seconds. The clothes-cleaning wipes genuinely can be that miraculous. They tend to work on any fabric, but if you are wearing silk you may need to select the brand you use carefully. You can get everything you need for your Fashion First-Aid Kit online. Shop via dubli.com to earn Cash Back for your purchases, and get to know the Do’s and Don’ts of online shopping. What you wear can speak volumes about you. Selecting the best styles for the season, the best cuts and colors for our shape and tone, and the styles that suit the activity, can all feel like time wasted if we do not go take good care of our wear. Every time you purchase something, it’s a treasured treat for yourself. And with VIP Rewards membership from Dubli.com, now for only $49 per year or $4.99 per month, you can earn Cash Back for all of your online purchases. Get set, go! It’s time now to start shopping and earning like a VIP.